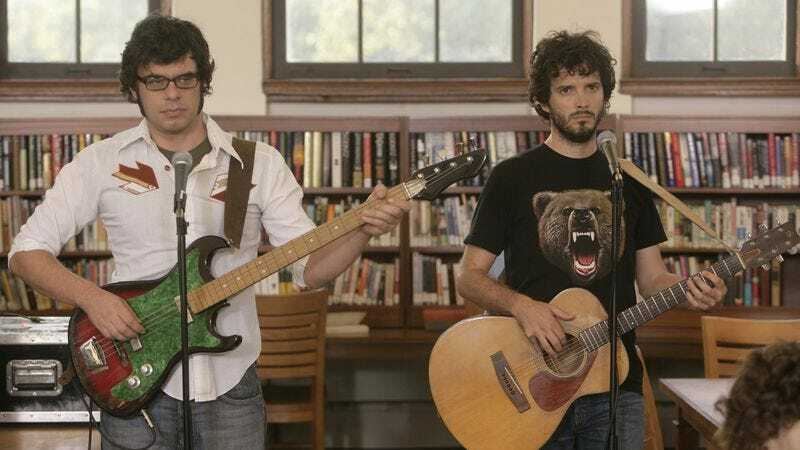 The last time FOTC toured the U.S. was in 2013, four years after the duo’s HBO show wrapped up in 2009. But both Clement and McKenzie have been far from idle since then. McKenzie has appeared in movies like The Hobbit: An Unexpected Journey and Austenland. He also scored the current wave of Muppets movies, earning an Best Original Song Oscar in 2012 for “Man Or Muppet.” Clement joined him in Muppets Most Wanted, playing a convict imprisoned with Kermit The Frog. Clement has also added his vocal talents to animated movies like Despicable Me and Rio. He was in Sundance to promote his new movie People, Places, Things, in which he plays the father of twins.